Half the respondents in a survey by KLAS Research and the College of Healthcare Information Management Executives (CHIME) listed reimbursement as a limitation to the growth of telehealth. They report slow payments for telehealth visits and lower reimbursement rates than for face-to-face care. Since payments are not covering costs in many cases, organizations are finding it difficult to make a business case for the expansion of telehealth services. In addition to reimbursement issues, you may also be facing increased oversight on telehealth submissions. You can expect more rigorous auditing based on a recent report from HHS, which revealed that a third of telemedicine claims reviewed by the Office of the Inspector General (OIG) did not meet Medicare requirements, resulting in improper reimbursements to doctors of $3.7 million. One of the first requirements for ensuring proper reimbursement is establishing medical necessity for the virtual visit. There are clear rules for a face-to-face visits, for example, you must document the reason for the visit and indicate whether the patient will be seen by a physician, nurse practitioner, physician assistant or a registered nurse. The rules for documenting medical necessity for telehealth services can be vague, which creates a high risk of insufficient documentation. There is also the problem of determining whether telehealth services are being offered for the convenience of the provider instead of the patient, in which case telehealth CPT codes should not be used. In those cases, establishing medical necessity is critical. Failure to properly document the reason for the telehealth visit can result in the claim being denied. A second issue surrounds proper coding for telehealth services. There are some specific CPT codes set up for telemedicine visits, but coding can become tricky because these codes may conflict with existing CPT codes. These codes may describe a portion of the telehealth service such as care oversight or medical care coordination. This confusion can easily result in miscoding, which can result in denials. The bottom line is that the documentation and coding requirements for telehealth services can overlap with the requirements for face-to-face visits, resulting in conflict and confusion - and placing you at serious risk of non-reimbursement. Other problems include the refusal by certain states to accept telemedicine charges, and insurers’ editing systems failing to process telemedicine claims even if they have agreed to accept them. 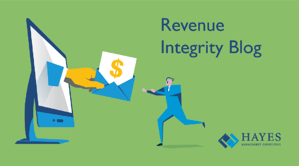 This can delay or deny reimbursement, providing a negative impact on revenue integrity. Telehealth is also posing potential legal issues surrounding Stark conflict-of-interest regulations as well as increased malpractice exposure. As your organization expands into telehealth, it’s critical to work closely with your compliance and legal teams to ensure you are not in violation and that your malpractice insurance is adequate to cover potential lawsuits. There are several actions you can take to address the obstacles you face as you begin offering telehealth services. Approach implementation gradually. As new codes and reimbursement guidelines are rolled out, take the time necessary to fully understand them. Institute strict monitoring guidelines and follow reimbursement patterns carefully. Communicate with third party carriers to gain assurance that you are applying the new regulations properly. Have them clearly outline - in writing – how they want to see the documentation, how they want the claims submitted and what else they need to fulfill their requirements. Handling charges for telehealth services will continue to pose challenges as this new type of healthcare delivery becomes more prevalent. As telehealth grows, the potential for increased penalties will inevitably follow. Taking a deliberate, reasoned approach - with thorough training and education of your staff - will help ensure that you are not adversely impacted, and that you can continue to leverage the clear benefits of telehealth. 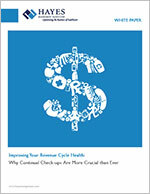 For more information on creating a revenue cycle with integrity within the changing healthcare landscape, download our white paper, Improving Your Revenue Cycle Health: Why Continual Check-ups Are More Crucial than Ever. Telemedicine improves patient care, outcomes in ICU, nurses say, by Jessica Davis, January 7, 2016, HealthIT News. Primary Care Telemedicine Produces High Patient Satisfaction, by Thomas Beaton, mHealth Intelligence, June 9, 2017. In 3 years, telehealth saved Spectrum Health $4M, by Julie Spitzer, Becker’s Hospital Review, May 24, 2018. OIG report: CMS improperly reimbursed doctors $3.7M in telehealth payments, by Erin Dietsche, MedCity News, April 16, 2018.